A cough is a simple, but pesky ailment and can be really hard to deal with especially at public places like your school or workplace. It also makes a person quite uncomfortable since it causes an irritable and painful sensation. There are quite a number of ways that one can use to relieve a cough, some of them listed below. Honey is a substance that has been used down through the ages for various things, for instance, in cooking, in beauty procedures, and in this case, as a healing agent. Therefore, when you are down with a cough and feeling all sorts of irritated, one of the best things that you can do is take some honey. Honey has a lot of healing properties which can help ease the pain that you may be feeling in your throat. You can take a tablespoon of the honey or mix it with some warm water and lemon. This combination has been known to work wonderfully for many years and it is a sure way to relieve a cough, so go right ahead and get some honey. Dry air in a house can worsen a cough that you may be experiencing, hence increasing the pain and discomfort that you may have. A humidifier generally works by adding moisture to the air in your house. Therefore, when feeling unwell, ensure that you use a humidifier which will make the air a little less dry and will help to relieve the cough. You can check out various humidifiers online and select some of those that are suited to meet your needs, for instance, either a warm mist or cool mist humidifier, both of which will help to make your situation much better. 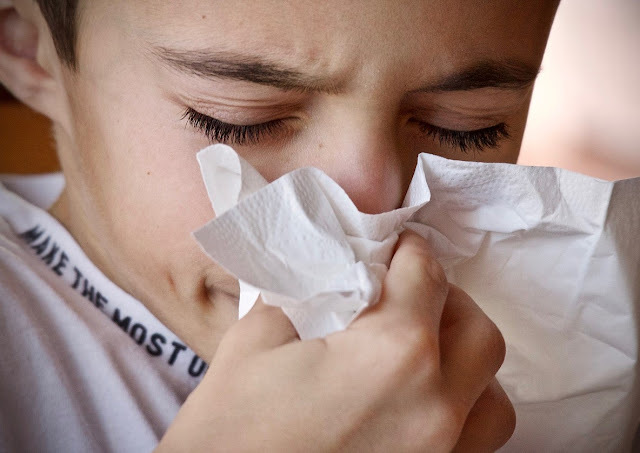 When you have a cough, most of your nasal passages tend to get quite dry and the mucous membranes end up really thin. This is the reason that your cough ends up getting more worse each time. To alleviate this, take a lot of fluids, herbal teas, soups or even just plain water which is enough to restore the necessary moisture levels in your organs and help to maintain your cough to some extent. Staying hydrated is always an important first step to take when you are not okay. Soups will particularly help to increase your appetite which will ensure that you do eat the required amounts of food even if you are ill. Sometimes, taking teas and using humidifiers do not help to relieve your cough entirely. At this point, the best thing to do is to visit a doctor and get the necessary medication needed to treat you. This is especially important if you need to go to work or do a presentation, for instance. If you do not want to see you a doctor, you can try over the counter pills which will work just as well. Be careful, however, to follow the prescription as instructed, so as to avoid unfortunate situations of overdosing or taking an underdose.